NSCA CPT review - A Historic and Recognized Certification! 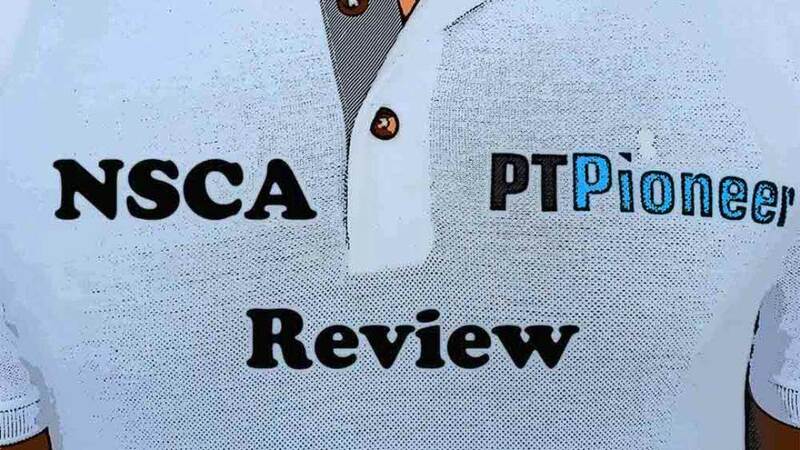 NSCA CPT review – A Historic and Recognized Certification! NSCA is one of the most recognizable certifications in the industry. Hey everybody, and welcome to my official NSCA review. In this article, you will learn what type of trainers should start studying for the NSCA. You will determine whether or not it is a good option for you. 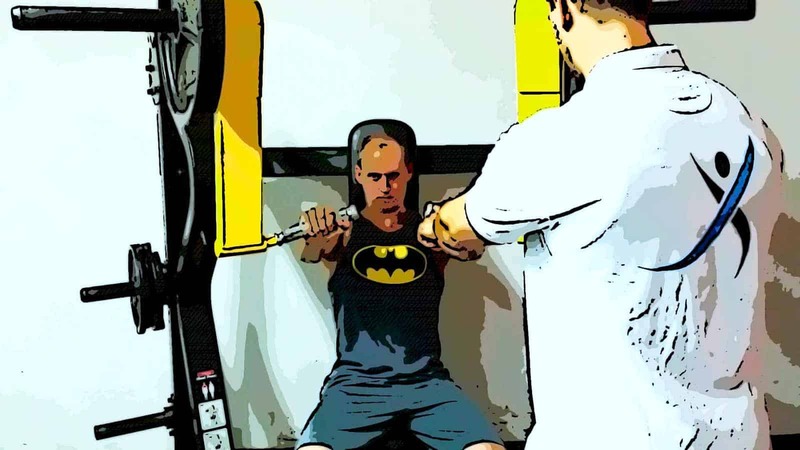 Make sure to also check out my article on the 5 greatest CPT personal training certifications (of which NSCA is on) as well is my guide on becoming a trainer from step number one. Picking the right personal training certification can be hard. Take the quiz to figure out which certification would be a good match for you. Similar to ACSM, the NSCA provides two different tiers of certifications. The certification that I will be talking about in this article is their “general” certification. Their more advanced certification is called the Certified Strength and Conditioning Specialist or CSCS. For this advanced certification, you are required to have a bachelors degree; it is one of the most prestigious certifications in the fitness industry. I have a completely different article reviewing their CSCS certification. The NSCA certification is one of the oldest certifications around. It is one of the hardest tests to pass as well. I would highly recommend shadowing a personal trainer who is already certified as part of your study regimen. You can make a good income in this industry while doing something that you love at the same time! Let’s jump right into the NSCA review. The NSCA has been around since 1978. It quickly came to the forefront of the fitness industry. It is now one of the gold standard certifications and is recognized by every employer that I talk to. In order to get certified, you need to meet some prerequisites. You must have a high school diploma, a current CPR/AED card, and be 18 years old. The NSCA has been leading the field in professional standards since the very beginning. They were the first certifying agency to be accredited by the NCCA. Since they became established in 1978, the NSCA has certified 9600 individuals. Compared to other organizations, that number is not that high. This is probably because they have such a low pass rate. NSCA has quite possibly the most challenging test in the entire fitness industry. The test contains 140 questions, and you have three hours to finish it. You need to make sure you are fully prepared before you attempt to take the test. This is not something you can study over the weekend and then attempt to get a passing grade. It is not your college psychology midterm. First-time test takers have a 54% chance of passing. I would advise that you go over the particular population’s section of your textbook in detail. The test has a lot of questions in this area. You are required to be a member of NSCA to take their test. If you are currently not a member, you should expect to pay around $400 for the membership as well as the exam. If you are already a member, the cost is approximately $250. They offer two different options for taking the test. They have a paper and pencil test as well as a computerized version. After you purchase their certification, you have one year to study for and take the test. I suggest reviewing for at least six months to be fully prepared. The only exception to this rule is if you have a strong background in kinesiology. NSCA provides practice tests on their website. I highly recommend checking these out so you can find out how prepared you are, as well as what areas you need to improve in. NSCA offers very little in regards to study materials. They provide a massive textbook that is pretty daunting to go through. This textbook will cost you approximately $89 if you purchase it through their website. I’m sure you can find used versions on Amazon much more cheaply. If you’re still trying to pick the right certification for you, Take the quiz to guide you in the right direction. Overall, NSCA is one of the top certifications in the fitness industry. I would put this certification in my top four. The test is tough. I think that is a good thing. You need to know your stuff when you are one-on-one with a client. Another advantage is that you don’t need to get recertified for three whole years. Most certifications require you to get recertified every two years. As a member of NSCA, you will have access to The Journal of Strength and Conditioning Research. This journal has many peer-reviewed articles that are great for keeping you up-to-date in the field. NSCA is a prestigious certification that ranks with NASM, ACSM, and ACE. I suggest you check out some of my comparison articles, such as ACE vs NSCA and NSCA vs NASM, so that you can see which certification would suit you best. The most significant disadvantage of this certification is they provide very little study material, especially considering how difficult the test is. If you are not good at purely studying out of the textbook, you will have trouble with this certification. I wish they had more online resources, videos or flashcards to aid in studying. This is where specific certifications have a leg up on NSCA. Currently, my two favorite certifications are NASM and ACE due to their industry recognition, excellent curriculum, and extensive study material options. Check out my comparison article on those two certifications. If you want to know more about NSCA, I suggest you check out their website. Let me know what you think!